The Fair Housing Act qualifies as many individuals as possible to own an emotional support animal, and indeed, pets play a key role in the homes of many Americans. Various studies have shown that human beings can benefit in profound ways from having pets, with the American Psychological Association publishing an important study showing that “pet owners were happier, healthier and better adjusted than were non-owners.” Other studies have shown the benefits of specific pets – especially dogs – for children, seniors, and other groups. Not many people know, however, that stunning tropical and other pet fish can also benefit human mental health in surprising ways. If you ever wondered why so many dentists have beautiful tanks filled with colorful fish, the answer is that they help human beings deal with stress. A new study published on Taylor & Francis online, found that staring at fish in a tank does two important things: it lowers the heart rate and blood pressure. The researchers found that even when study participants looked at an empty tank with rocks and seaweed, their heart rate lowered by 7%. However, when they watched fish their blood pressure also dropped by 4%. In the abovementioned study, tanks with greater numbers of fish had a higher impact on mood and general wellbeing. 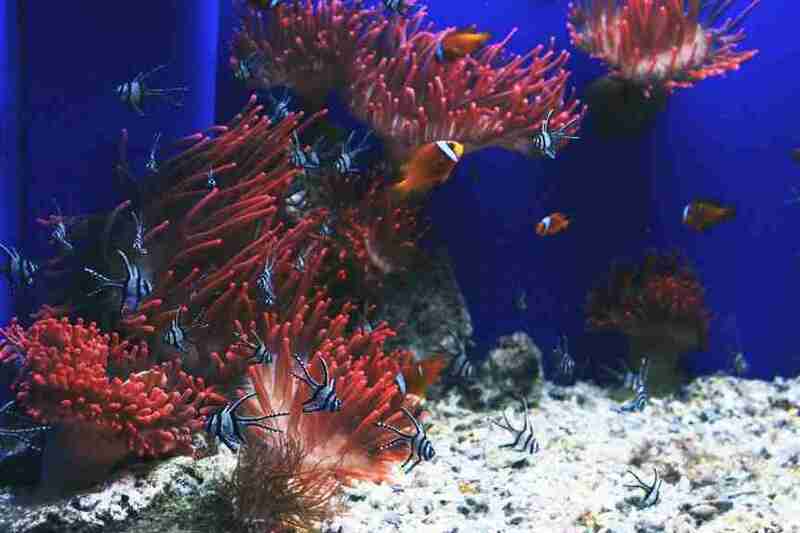 The researchers concluded that their study, “for the first time, provided robust evidence that ‘doses’ of exposure to underwater settings could actually have a positive impact on people’s wellbeing.” The researchers noted the improved effect of various fish varieties because their study took place in a specific tank in the National Marine Aquarium. Thus, they were able to introduce different species of fish at different times, noting the enhanced effects as greater variety was added. They noted that in urban areas or in settings in which human stress is high, fish can provide a calming escape and enable people to face their tasks with a sense of restoration and renewal. If you would love to have colorful fish in your home, why not build an aquarium? One study carried out by scientists at Purdue University found that people who were near an aquarium had a 12% reduction in anxiety before undergoing a medical procedure. Another study carried out in 2009 found that patients with Alzheimer’s who were exposed to an aquarium consumed significantly more food than those who did not, thus requiring less nutritional supplements. The patients also showed improvements in short-term memory. Dogs and cats may continue to be the most popular choices for pets in America, but the power of fish shouldn’t be underestimated. Fish provide a beautiful distraction which all at once produces a mindful state, which is excellent for combatting stress. Tropical and other fish will require a good tank and consistent care, but they also make for a fascinating hobby that can turn into a passion.